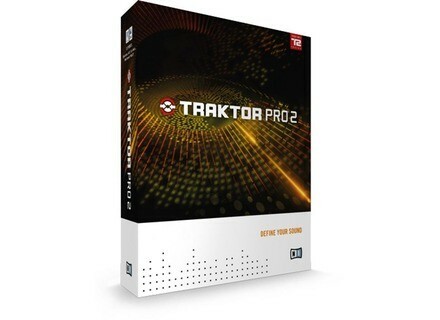 Traktor Pro 2, DJ Software from Native Instruments in the Traktor series. Four Times More Features in Traktor PRO 2 than in Traktor S4? What Are the Differences Between Version 1.2.7 and Version 2? Having reviewed the Traktor Kontrol S4 at the end of 2010, I got an email from Native Instruments in early April offering me a free upgrade for Traktor Pro 2. 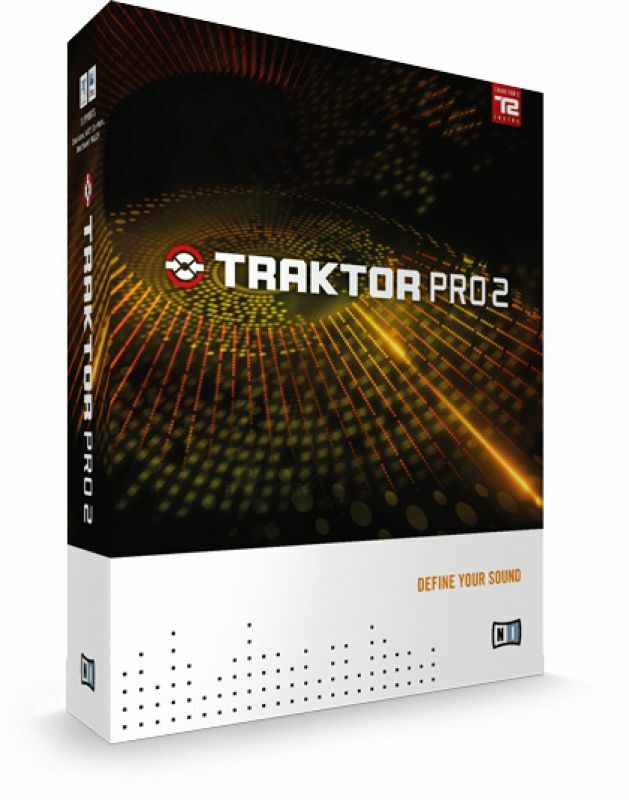 The differences between both S4 and PRO 2 versions are not so big as you'll see in this review, however there is an important gap between the previous Traktor version and the upcoming Traktor 2. Like every Native Instruments software, you'll have to authorize the product via the service center: a small interface that allows you to enter your activation key, follow the recommended updates and download the documentation and drivers relative to your NI products. You will have no problems during the installation. I have three Traktor versions installed in my computer to compare them for the review: Traktor PRO 1.2.7, Traktor PRO S4 1.0.1 and the brand new Traktor PRO 2. A quick overview of the Traktor 2 range (see all features here). 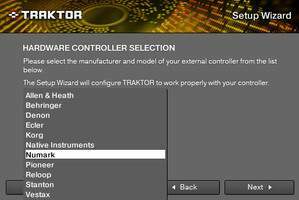 Traktor PRO: this version has four decks, four FX processors, 30 effects. It lacks nothing except for a timecode control for vinyls. Traktor SCRATCH (either in DUO or PRO version): adds two major features, timecode control for vinyls and a native audio interface (Audio 6 with DUO and Audio 10 with PRO). Tracktor LE: Traktor's light version. You get no loop recorder and no sample decks, and you get only three effects. This version is only available bundled with other products. Here is a list of all products that include Traktor LE. - Four decks you can independently setup "on-the-fly." You can choose between Track Deck, Sample Deck and Live Deck. With the S4 version, the selection was limited to decks C and D only. Decks A and B could only be used in Track mode. - Four Grid modes are available to select the display mode of the BeatGrid: Full (continuous vertical white line), Dim (continuous vertical gray line), Ticks (only two marks above and below the waveform), and Invisible. - Four Color modes can be selected: Spectrum means that the full color spectrum is used. The three other modes allow you to change the saturation of only one color: Ultraviolet (blue) , Infrared (orange), X-Ray (white). That way you can match the dress and color code of the party. The three-band Classic EQ allows you to adjust each band from +12 to -24 dB, and it has full kills. The three-band P600 EQ offers a slightly wider range from +12 to -26 dB. The NUO EQ emulates Ecler mixers and provides different attenuations depending on the frequency band. The Xone EQ emulates the EQ in the famous Allen & Heath mixer. You have four frequency bands at your disposal: low, low-mid, high-mid, and high. Both lower and higher bands provide infinite attenuation, while the mid bands can be attenuated up to -30 dB. Considering that the S4 has only three EQ controls, it's easy to understand why this last option isn't provided. Four new effects: Tape Delay emulates an analog tape delay and is synced with the tempo. Ramp Delay is quite original. It allows you to control the length and the speed of the ramp delay itself. Auto Bouncer allows you to repeat one bar according to 10 patterns (five directly accessible and five accessed pressing the Alt key); the repetition speed can be modified. An excellent effect but use it with moderation! Finally, Bouncer also allows you to repeat one bar of your track, but with different speeds and pitches. Except for Auto Bouncer, all other effects have a dedicated filter allowing you to fine tune the effect. First of all, we have to mention that the upgrade to version 2 costs $69 for Traktor Pro owners and $129 for other users (DUO, LE). The sample decks are the main new feature. These players allow you to play back up to four samples at the same time. In version 1.2.7 this possibility was unavailable, which was a disadvantage in front of competitor products. Luckily, Traktor 2 has arrived and each of the four players can be used as a Sample deck, which means you can now use up to 16 samplers at the same time. The concept is simple: let's say that deck A is a standard player and deck C a Sample deck. 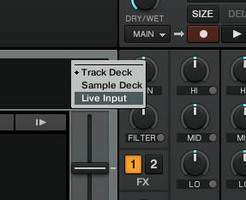 Make a loop in one of your tracks in deck A, drag and drop into one of the four slots in deck C and that's it, your sample is ready to use. Moreover, these samples are automatically saved into your track collection on your hard drive and can be played again during your next performances... It's so easy! The Sample decks are kept extremely simple: one play button, one volume control and one filter control. 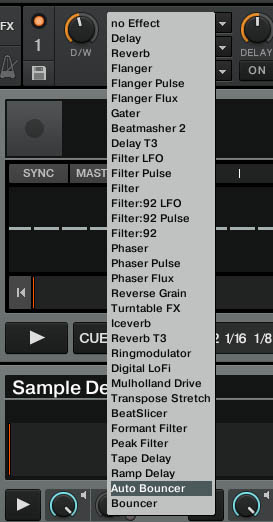 The Sample decks take you to new dimensions with the keyboard shortcuts. For deck C for instance: you can alternately play or mute all four samples (unlike a pause button, the mute function doesn't stop the samples from playing back it just mutes them) using the Z, X, C, and V keys. Add the CTRL key (+ Z, X, C, V) to suppress the sample from deck C (but not from the track collection, which means the sample is recorded onto your hard drive). Just keep in mind that the maximum length of a sample is 48s, which isn't really a limitation. Important: the samples are automatically synced to the master tempo but their pitch is not corrected (no key lock function). By now you have probably already understood that if you buy this new Traktor version, you'll have a nice fighter plane to shoot samples... And Native Instruments provides the fuel for free! Who can refuse such a gift? You get about a hundred high-quality samples, and also a dozen of full tracks to start working different music styles (dubstep, minimal, house, techno, trance...) with different instruments (drums, bass, percussion...) for each style. The loop recorder will allow you to record several signals, for instance the master signal from the mixer output (post EQ and FXs), the signals with active cue points, the Aux signal (for example your mic). You can choose the sample length (4, 8, 16 or 32 beats) before clicking on "Record" to start recording. You can also re-record a new sample over the existing one (overdub function). And you can always use the Undo button to delete the last recorded sample layer. 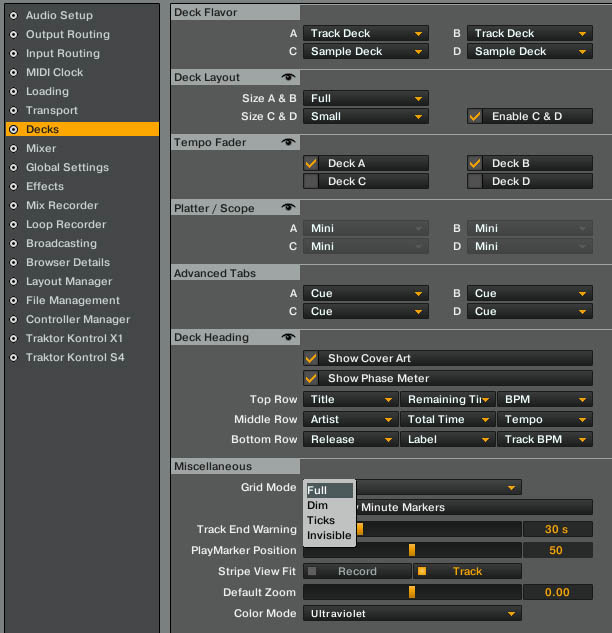 Afterwards, just drag and drop the loop recorder into a Sample deck slot in order to add it to your library. As for waveforms, the graphical interface looks much nicer than before! The visual representation of your songs is multicolor (see above) and has more precision and depth. Bright colors are used to display high frequencies and dark colors for low frequencies. This new feature applies both to the detailed view of the song and the global view of the track (stripe view). To be honest, this is not the most important feature... It certainly looks nice but it is not really useful when it comes to making a good mix. For this review, I used a MacBook Pro with Core 2 Duo @ 2.26 GHz and 2 GB DDR3 RAM (I think this is representative of the system of a live DJ). The first thing I noticed is that the analysis time of tracks is about 50% longer in Traktor 2. For a four-minute song (I tested a dozen of tracks across different music styles), Traktor needs six seconds while Traktor 1.2.7 required only four seconds. The operating system requires 3% CPU. When I start Traktor 2 without doing anything, the CPU load rises to 17%. Analyzing a track increases the load up to 60%. Playing two songs simultaneously with Key Lock active means about 21%. Adding three different FXs per track (six in total) amounts to 24%. When I activated eight additional samples, the loop recorder plus all available EQ bands, the CPU load reached about 30%. The operating system still requires 3%. When I start Traktor 1.2.7 without doing anything, the CPU load reaches 12%. Analyzing a track increases the load up to 40%. Playing two songs simultaneously with Key Lock active means about 18%. Adding three different FXs per track (six in total) amounts to 23%. Expectations for Traktor 2 were high, but this is no revolution. The main improvements in this new version are the samplers and the loop recorder. These features alone are worth the upgrade price. All new effects sound excellent, even if they won't change the world. The waveform display looks very nice but is certainly not essential for most of us. 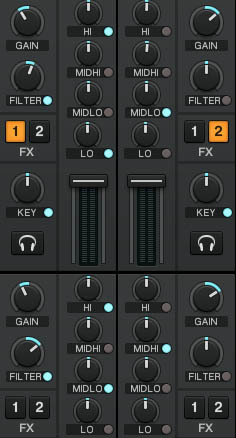 However, Traktor is still very effective if you want to get perfect mixes. Furthermore, everyone will appreciate its reliability and stability. 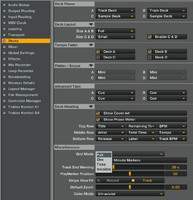 Nevertheless, Native Instruments could have been a bit more ambitious, for example in developing more sophisticated crossfaders like some competitors have (e.g. Avid's Torq 2.0).